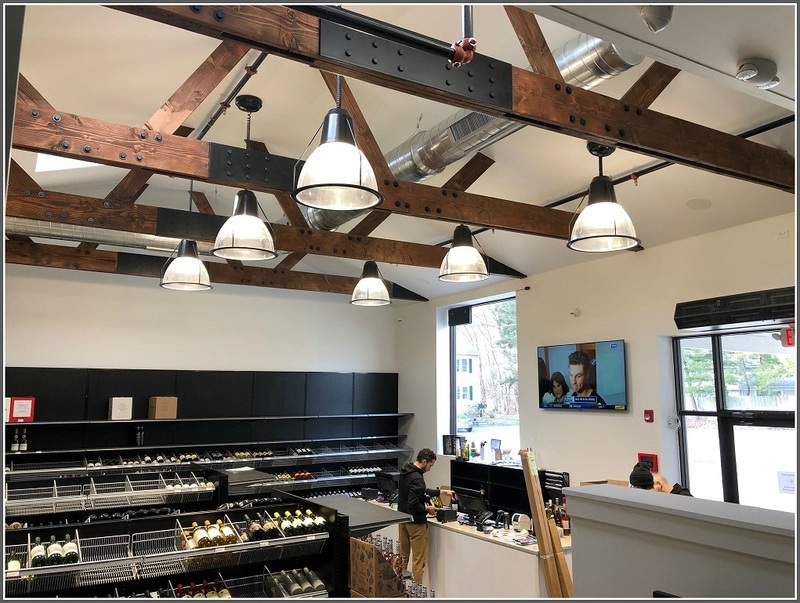 Westport’s New Liquor Store: Have You Heard About The Grapevine? Bia Hittman’s parents first met at Crossroads. Back in the 1970s, it was a lively restaurant with a young crowd. The other day, Bia’s mom and dad celebrated their 41st anniversary. Crossroads is gone. So is its most recent replacement: 323 restaurant. But Bia’s parents are still drawn to the area. In the small shopping center across Canal Street, Bia and her husband Seth are hard at work. They’re opening The Grapevine — a modern and very cool liquor store — in the space known to generations of Westporters as a different Crossroads: Ace Hardware. Crossroads Ace Hardware closed last year. Bia grew up in Trumbull. But her parents brought her to Westport often. They ate at Onion Alley, shopped at Henry Lehr. She tasted her first matzo ball soup at Oscar’s. Seth is from Nyack, New York. He’s a tech entrepreneur and investor. They lived in Manhattan, with 2 kids and 2 dogs. But, she says, it was “Westport or bust” for her. “It was always my dream to live here.” The restaurants, shopping, beach, great schools — all drew her in. Four years ago, the Hittmans moved here. He commutes a couple of days to New York. But almost immediately, they began looking for a way to become part of the community. Bia Hittman, in her new store. They thought about real estate. Then they had another idea: a liquor store. 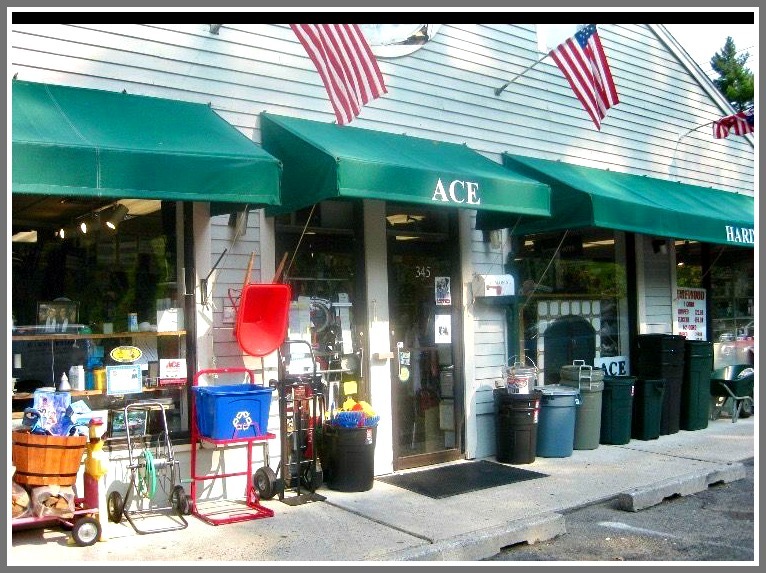 Ace Hardware closed. The owners of Parkway Liquors — on the other side of Coffee An’ — were looking to sell. The Hittmans bought Parkways’ liquor permit. Then they went to work. The Grapevine’s open, inviting interior — and new ceiling. They dropped Ace’s loft, and got rid of the side stairs. They added a cathedral ceiling, with handsome trusses. They put in new flooring, and painted brightly. The Grapevine — the clever name — is now the only bi-level liquor store in the state, Bia says. The entrance has been moved to the north side. There’s plenty of parking there — and the new orientation will be great for a Grapevine innovation: curbside service. Orders can be placed online; when you drive over, it’s ready. The 3,000-square foot store is open and inviting. The Hittmans are focusing on craft and gluten-free beers, and organic and gluten-free wines. They’re vetting their vineyards, ensuring that “organic” is not just a word on the label. The Grapevine’s staff will provide advice on building and stocking your wine cellar. “We’ll do everything from soup to nuts,” Bia says (invoking, perhaps, her parents’ days at Crossroads). 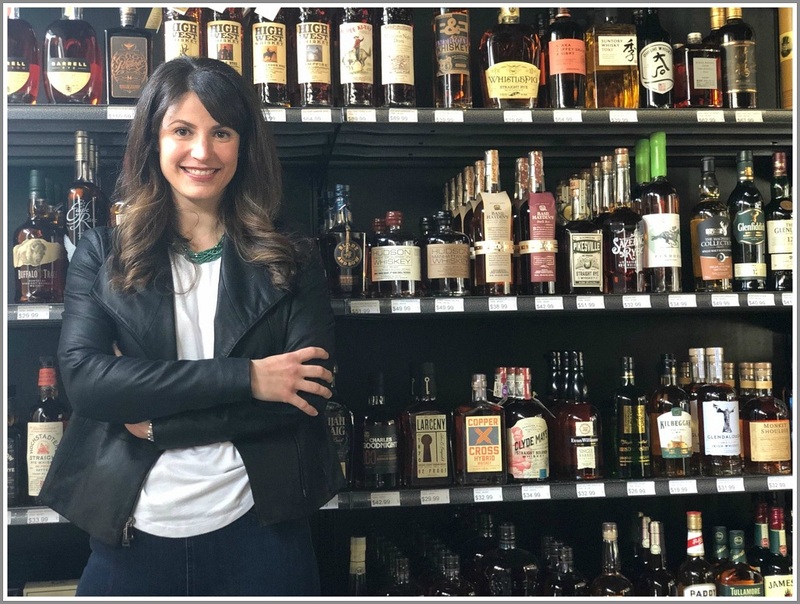 She, Seth and partner Joe Annunziata — a longtime veteran of the wine business — look forward to partnering with the Westport Downtown Merchants Association on events. The former side of Ace Crossroads is now the main entrance to The Grapevine. 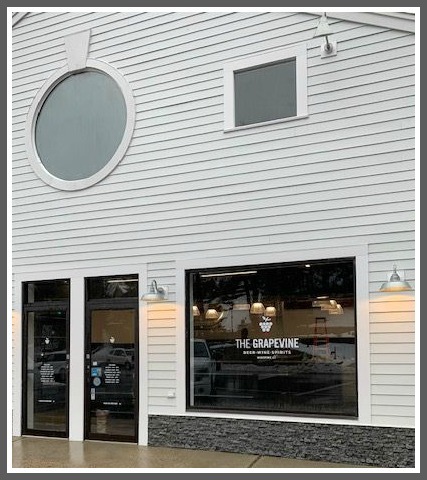 The Grapevine’s soft opening early this month will be followed by a grand opening the first weekend in May. Meanwhile, the little shopping center’s newest tenant is getting to know the neighbors. Which raises the question: What wine goes best with a glazed donut?